If you would like a more affordable move, we recommend taking advantage of our amazing man and a van service. Movers Man and Van offers a long list of excellent removal services but of them all, we think the best is our man and van service in terms of cost and service. This service is the best for those of you needing a move on a budget. This service is really down to earth and it doesn’t need to cost you an arm and a leg. If you need a cheap move that won’t drain you of time and energy, consider our man and a van service and we can assure you that you will be more than happy with the service for sure. Our drivers are all qualified and they will be driving the vehicle in which you choose. We do know the pressure put on many people in times of moving and we feel, when you hire us, that it is our responsibility to make it less stressful for you and more at ease. Any move can be a lot less hectic as long as it is done properly. If it isn’t, you risk a lot of problems during your move. Therefore, it is much wiser to hire experts, like us, to take care of it all and then you will not need to worry about a thing. All you need to do is call our office right away on 020 8746 9674 and book now. We can even provide you with a free quote. At our removals company, we boast an array of removal vehicles that are all regularly cleaned and maintained. Your belongings will stay clean and safe when they are transported in these vehicles so there is no need at all for you to worry about the safety of your items. We understand that for many people, it can be tough to part with your possessions. All we can say is that you can rely on us completely for first class removals. And we can promise you that you will not be left disappointed when you see what we can do for you. There is no point in trying to cope with stressful moves. With us, you can have an unbelievably easy and smooth move that you won’t have to stress about. So give us a chance and we will show you that we are one of the best companies around for removals. If you need a van and man service, please get in touch and we’d be happy to supply you with one for a very reasonable price indeed. Movers Man and Van should be your first choice when you need anything to do with removals. 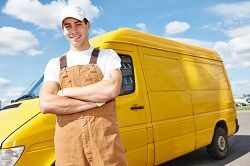 One of the most popular services right now is our man and van service. So if you like the sound of an affordable alternative to a long, drawn out full removal services, we definitely suggest considering our brilliant man with a van service. Our moving vans are all safe and secure and you are guaranteed an easy and smooth move when you hire us. We have professional drivers who will ensure that all of your items arrive safely at your new home or office. All you have to do is contact us now and we promise you that you will not be let down by us. Call us now on 020 8746 9674 and you will be ever so happy with our man and a van services. So get in touch now and we won’t let you down. You can get everything you need right here with us and you can expect nothing less than the best.